Utah@EASE is a referral program led by the Office of the Utah Attorney General in conjunction with the Utah Department of Veterans and Military Affairs and the Utah State Bar. Only matters listed above are covered under this program so criminal, family law, personal injury, and legal matters against the USA or a state, among others, are not covered. Assistance through the program is by referral only. If you have a legal emergency, contact an attorney. Utah@EASE referrals typically take several days. Applicants must (1) be Active Duty, Reserve, National Guard, or if a veteran, must have an honorable or general discharge, AND (2) have a legal issue in Utah that is covered (see legal areas above). Active Duty, National Guard, and Reserve servicemembers in need of legal assistance must contact their local Judge Advocate General Office. If unable to provide the assistance, JA will refer the servicemember to Utah@EASE. Veterans must contact their local Veterans Service Office (UDVMA, DAV, VFW, American Legion) for referral to Utah@EASE. Veterans must provide a scan of the DD 214, Certificate of Release or Discharge from Active Duty, which can be obtained at https://www.archives.gov/veterans/military-service-records. Qualified applicants will be notified if their case has been accepted into the pro bono program and referred to a private pro bono attorney. Attorneys are volunteers and will represent without charge unless awarded attorney’s fees from the opposing party. The servicemember or veteran is responsible for filing fees. 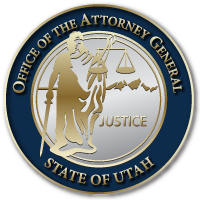 An attorney assigned to a case is not employed by or otherwise associated with the Utah Attorney General’s Office, other than volunteering to assist with the legal problem without charge. This entry was last updated on January 10, 2019 .